In 2017, millennials (those born between 1981 and 1997) made up 90 percent of all new parents. That’s largely because in 2015, more than a million millennial women gave birth for the first time according to data from the National Center for Health Statistics. The total number of U.S. millennial women who have become mothers has officially risen to more than 16 million — about 8 in 10 U.S. births in 2015. While it’s true that these so-called “parennials” waited longer than previous generations to have kids, they still made it a priority in their lives. In fact, more of today’s women are starting families than women were in 2008; today’s women are simply waiting longer to have babies because of career security and financial reasons according to a new analysis of U.S. census data from the Pew Research Center and Healthline’s State of Fertility Report 2017. That said, millennial women rated “being a good parent” as a top priority in a 2010 Pew Research Center survey. Some 52 percent of millennial women said that parenting was actually one of the most important goals in their lives — surpassing the goal of having a successful marriage — and 60 percent said that being a parent is “extremely important” to their overall identity (according to a 2015 Pew Research Center survey). 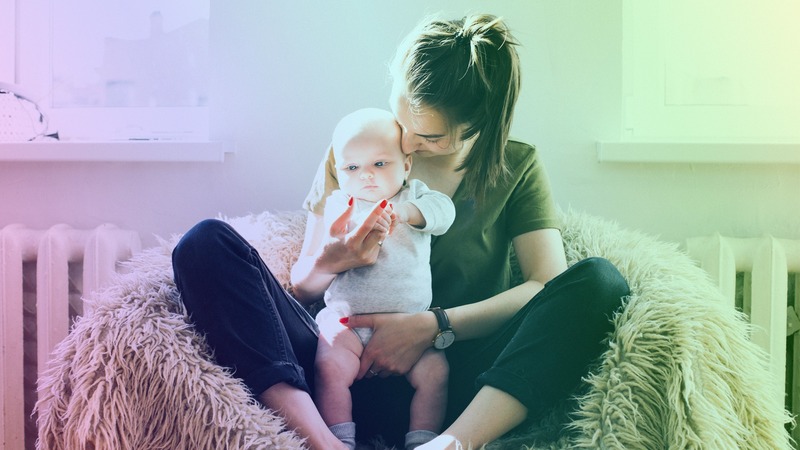 The research also shows that millennial women are confident in their abilities to care for children — even more so than previous generations were. Plus, they tend to have more fun with parenting and find it more rewarding than older generations did. So, what is it like to be a parennial? We asked a few. “My kids are part of Generation Uber, and they expect that if we need something, we can just order it up,” says Erin Goodnow, cofounder and CEO of Going Ivy, a college admissions consulting group. “Believe me; that was invaluable when we were going through a box of diapers a week. Then, my daughter asked for gloves last August because her friend had gloves, and I said ‘maybe in a while,’ and she asked why I didn’t just ‘text it to my phone.’ So as a parent, there are benefits and drawbacks to the conveniences we millennials couldn’t live without. “I don’t know anyone else’s reality, but I make an attempt to know mine; my parenting styles are primarily a synthesis of learning from my parents’ mistakes and welcoming some ancient/modern ideas and techniques put forth by Dr. Harvey Karp in his Happiest _____ on the Block books,” says Caleb Backe, a health and wellness expert for Maple Holistics. “My wife and I knew we wanted to present our kids with as much freedom as possible without being outright negligent or quasi-negligent. We knew we wanted to provide them with unstructured free playtime, ideally outside, on a regular basis. We knew we wanted to pretend there was a tooth fairy, but not lie to them about things that matter. Parenting is a process of trial and error, and you learn things as you go along, regardless of how many books you’ve read, movies you’ve watched and advice you’ve gotten. “For me, this means understanding, internalizing and constantly reminding myself that it is my kids’ job to push the very limits I try so hard to set and to smash the rules I attempt to enforce. We test and ‘educate’ one another all the time, but proper parenting helps it remain a test, a trial, a right step in the ongoing evolution — without it escalating into a battle. You’re both going to lose that confrontation. “As the mother of a 2-year-old, working full-time in digital marketing and PR, it’s vital to make my career and parenthood work together — because both are 24-7,” says Lisa Deliberato, 27. “Prioritizing quality time during the week with my daughter is key, so I try to keep my phone and laptop use to a minimum from the time I pick her up from day care until she goes to bed. Finding an employer who is supportive of work-life balance is key. “Having a kid has made us both more present. The glorious teeny-tiny baby phase is fleeting; first steps can be missed if you’re checking your emails, and some of the things that come out of their mouths are comedic gold… So pay attention (and write it down! ).